The last time that the OCG and TCG had a different Forbidden & Limited Lists was way back in May 9, 2008. TCG released an emergency list to ban “Dimension Fusion”, restrict “Return from the Different Dimension” and semi-restrict “Allure of Darkness”. The OCG list did not follow until the next rotation in September 1, 2008. Come September 1, 2013, the OCG and TCG will go their separate ways as different Forbidden & Limited Lists are to be implement for each region. As such, it is important to keep track of the appropriate changes relevant to your region. Behind the cut is a simple comparison between the two lists. 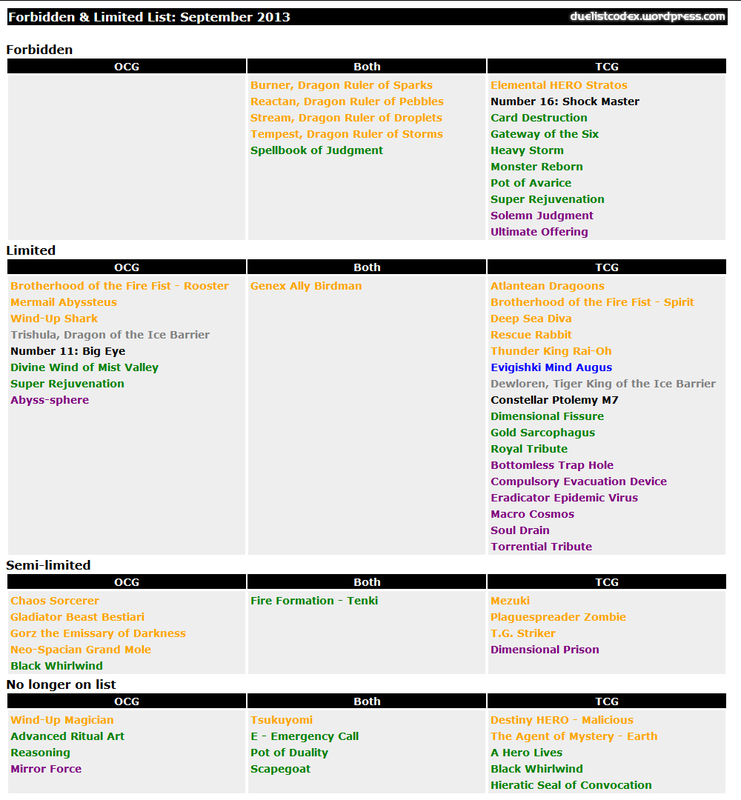 Only changes from the March 2013 Forbidden & Limited List are listed below.